The study found that homes with HERS Index Scores between 40 and 89 commanded a price of between $85.89 and $162.52 per square foot. Each year, the report presents an analysis of data from certification and rating programs used to measure homes and buildings for energy efficient, green and high-performance features. According to NCBPA, the 2017 report includes what is believed to be the most comprehensive high-performance home sale price analysis performed to date. The analysis compares the prices of 3,908 high performance homes sold in North Carolina’s Charlotte, Triad and Triangle housing markets between 2015 and 2016 to all other home sales. 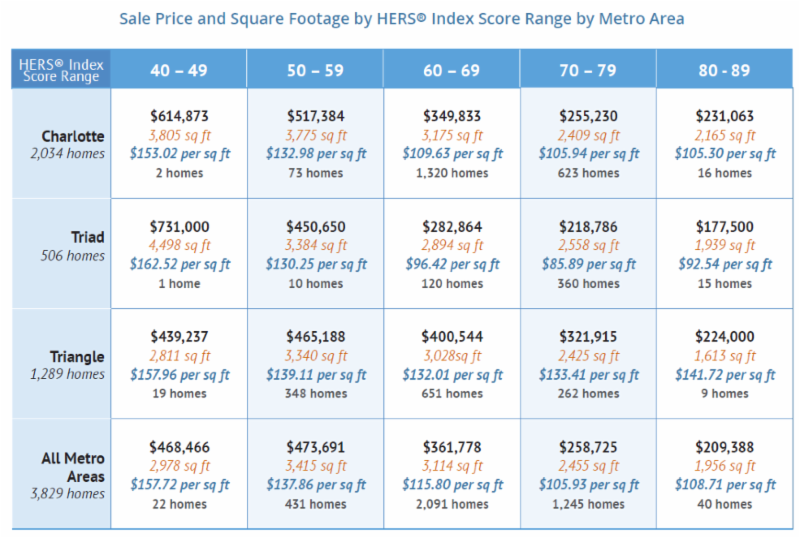 There is strong correlation between lower HERS Index Scores and higher total sale price and price per square foot. The Charlotte market has the highest number of high performance home sales of all the metro areas (2,034 homes). Only 22 of the 3,829 home sales analyzed (0.6%) received a HERS Index Score in the 40 – 49 range, and 40 received a HERS® Index Score in the 80 – 89 range. Of the homes analyzed, 2,091 have a HERS Index Score between 60 – 69. This is the highest number of home sales in a HERS Index Score range in all of the metro areas combined. Homes with ENERGY STAR® certifications and HERS Index Scores hold comparable average sale prices in each of the three metro markets, indicating strong market acceptance for each program. Graphs 40 and 41 from the report highlight the average sales price per square foot sold in all metro areas of the state that fall within HERS Index Scores of 50 to 79. 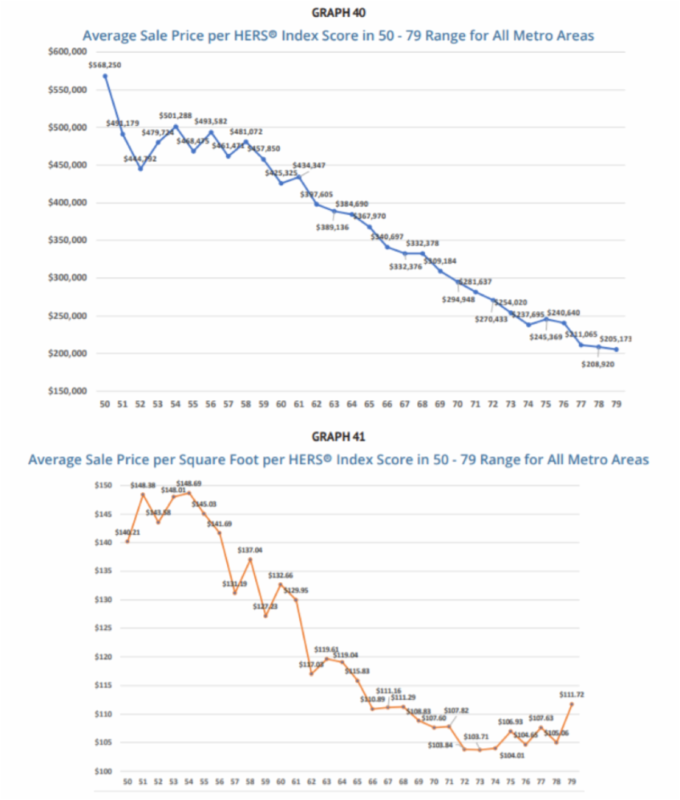 The reports states that, “These graphs illistrate how the sale price and price per square foot generally decrease as HERS Index Scores increase”. 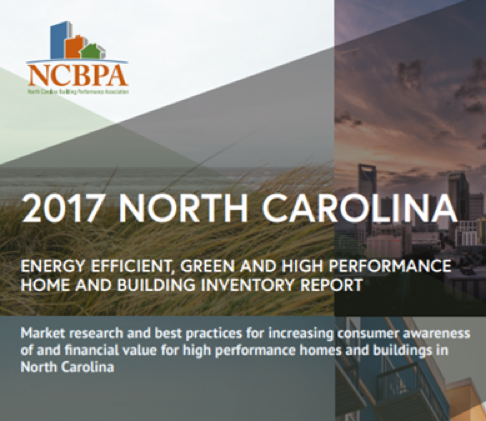 The full report can be downloaded at NCBPA’s 2017 Annual Energy Efficient, Green and High Performance Home and Building Inventory Report.